Social workers told a family court judge that a baby would be “at risk of neglect” because her father was a regular cannabis user. They said the man would not always be focused on his daughter - who is about nine months old - or responsive to her needs. Their concern has emerged in a ruling by Judge Peter Greene following a private family court hearing in Peterborough, Cambridgeshire, in April. 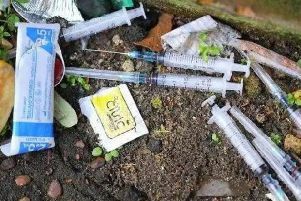 Cambridgeshire County Council social services staff had listed the man’s drug habit as one of a string of concerns they had about the girl’s parents. Social workers said the girl’s mother suffered from health issues and had “cognitive limitations”. They said the couple neglected themselves and had “poor personal hygiene”. Council staff said both were vulnerable and would be unable to keep their daughter safe. Judge Greene ruled that the girl should be placed for adoption. The judge said if the girl stayed at home, she “would be very likely to suffer significant harm through neglect” because of her parents’ “inability to recognise or meet her needs”. He did not make any specific finding in relation to social workers’ concerns about the man’s cannabis use. The family was not identified.